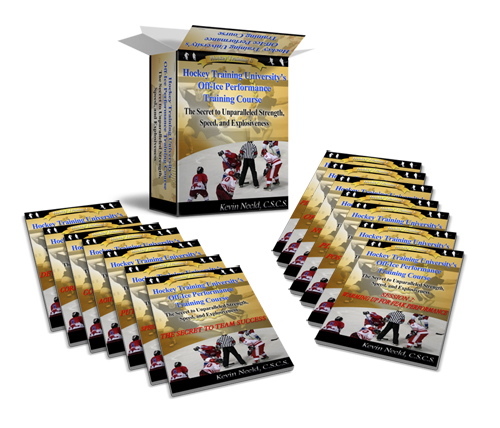 Ice-Hockey-Training.com was developed by Kevin Neeld to help ice hockey players and coaches find high quality hockey training information, programs, and exercises. Kevin Neeld is the Director of Athletic Development for Endeavor Sports Performance. 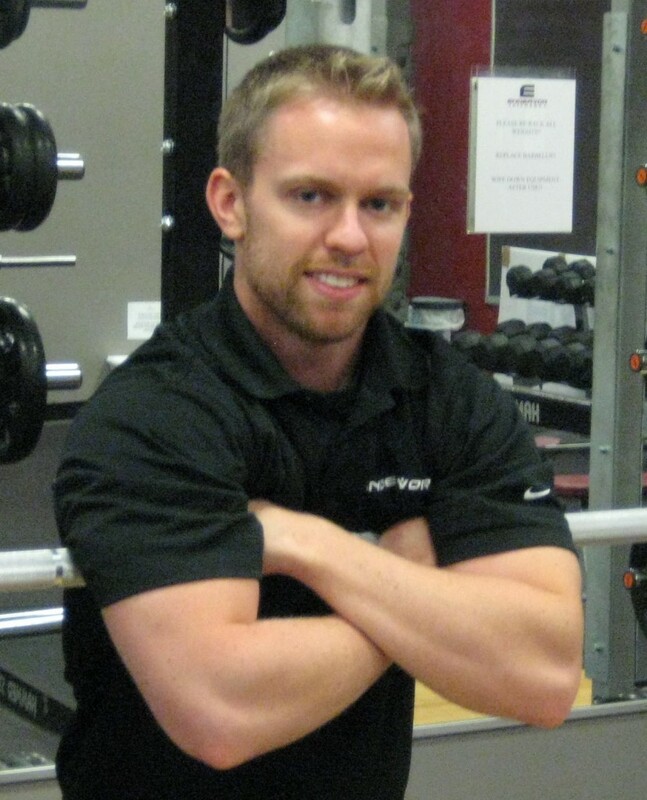 He is a Certified Strength and Conditioning Specialist (CSCS) holding a Master’s degree in Kinesiology & Exercise Neuroscience (University of Massachusetts Amherst), a Bachelor’s degree in Health Behavior Science & Fitness Management, and a minor in Strength and Conditioning (University of Delaware). 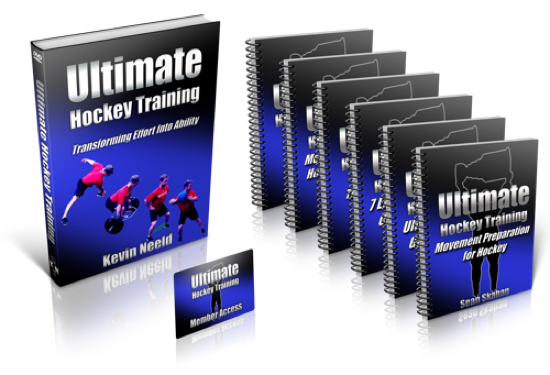 In Ultimate Hockey Training, Kevin details exactly how you should design and progress your off-ice training to continually improve on-ice performance. His system includes assessments, exercise progressions, and year-round training guidelines to help you realize your full potential. Specific injury prevention strategies are identified to not only make you a faster, stronger, and better conditioned player, but also more durable one. Ice Hockey Training is a great resources for hockey players and coaches to get access to quality information on what it takes to succeed. Topics include everything from developing a winning hockey program to dryland hockey training, to power skating drills. Kevin is sought after for his expertise in injury prevention and post-rehabilitation work. At Endeavor Sports Performance, Kevin has helped athletes get stronger while alleviating symptoms of a variety of injuries, including: shoulder labral tears, hip labral tears, shoulder impingement, hip impingement, sports hernias, groin pain, hip flexor strains, and low back pain. An accomplished author, Kevin has had articles published at StrengthCoach.com, SBCoachesCollege.com, SportsRehabExpert.com, EliteFTS.com, T-Nation.com, BodyBuilding.com and AskMen.com. Additionally, he has served as an investigator and co-author on scholarly works published in Medicine and Science in Sports and Exercise, Research Quarterly for Exercise and Sport, Perceptual and Motor Skills, and The Journal of Physical Education, Recreation, and Dance. Kevin possesses the unique ability to combine his backgrounds in research, academia, and athletics to create highly effective programs for athletes and clients of all backgrounds. Specializing in ice hockey training and corrective exercise, Kevin has helped guide athletes of all ages and abilities to optimal health and performance. Click here for more information on how he can help you achieve your health and performance goals.